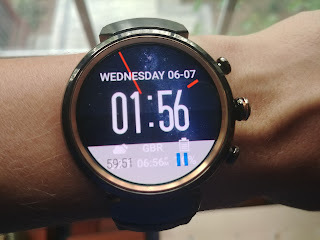 My roller coaster experience with the LG Style Smart Watch left me thinking I'd successfully acclimated to the world of modern smart watches. To recap: I started off hating the watch, as it failed to outperform my old stand by, the Pebble Classic. However, after a week of use I found that I was growing attached and could see the potential of the device. Ultimately, I decided that the battery life really was too poor to be acceptable, and so back to Best Buy the device went. I purchased the LG Style because it was relatively low cost, and while plenty of reviews I'd read said to pass on it, I decided not to listen. 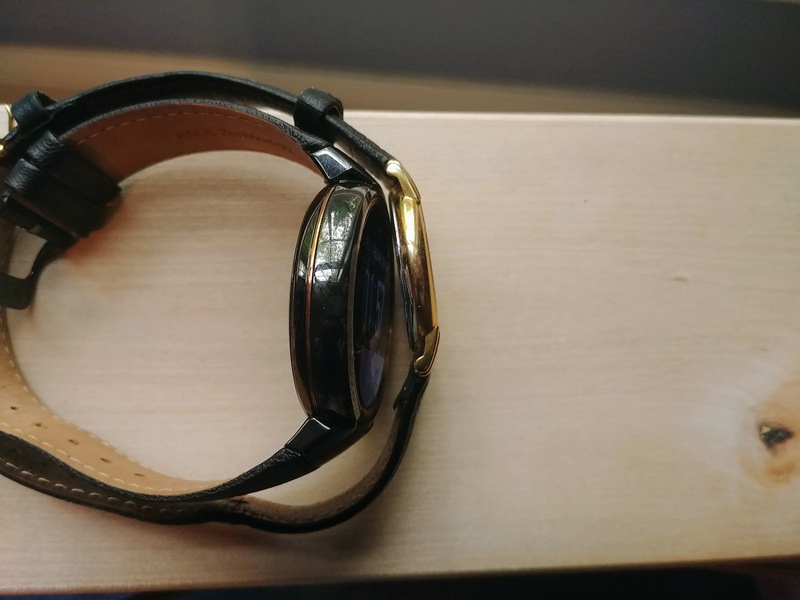 For my second time around, I though I'd give more credence to the reviews and ultimately opted to get an ASUS ZenWatch 3. It received plenty of positive reviews, and I figured with my LG Style experience behind me, it would be smooth sailing. Sure that leap from a dumb phone to a smart phone is painful, but usually going from one Android device to a new, higher praised mode, is a breeze. Oh, how I wish it were so. I picked up the ZenWatch 3 and very quickly found myself both unimpressed and confused. Unimpressed because it was significantly heavier and chunkier than the LG Style, and it replaced the functional and elegant 'crown' with three ugly buttons. Yes, the watch contained a speaker, which meant that I could finally take calls on my wrist. But the quality of the phone experience from the test calls I made just gave me more reasons to be unimpressed. And then there was the confusion. While there were similarities between Style and the ZenWatch, I found myself befuddled by the ASUS's user experience. 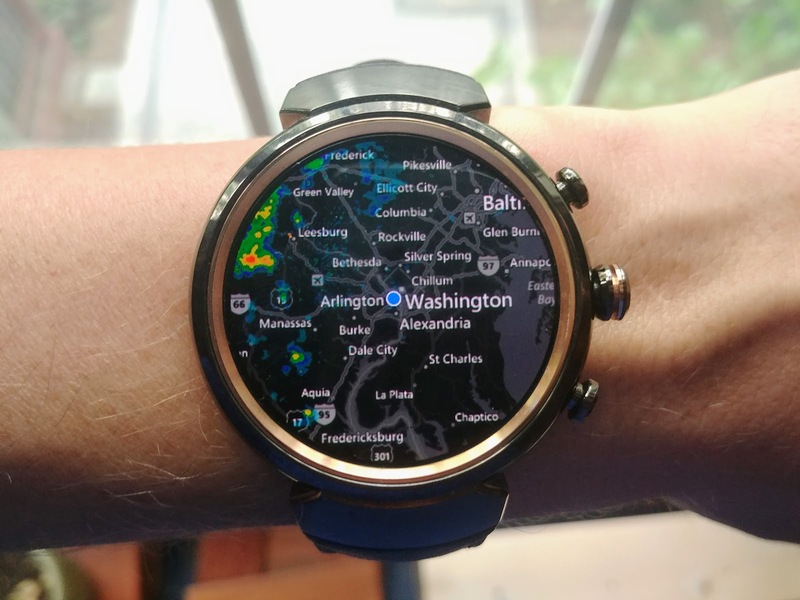 I thought I had figured out how to navigate an Android Wear device, but now I wasn't so sure. Just the simple act of managing apps was totally different between the two devices. So much so, that I had turn to Google for help on this basic operation. Ultimately, I owe my friend Nick a big thank you for clearing up my confusion. The ZenWatch 3 comes with Android Wear 1.5, while LG Style had Android Wear 2.0 on it. I may have upgraded hardware, but I took a step backward in the world of software. I assumed that with the rave reviews on the ZenWatch 3 that it must have had the latest watch OS. Apparently, not true. From poking around on the web, I'm told that the ZenWatch 3 will get an upgrade to Android Wear 2.0 any day now. 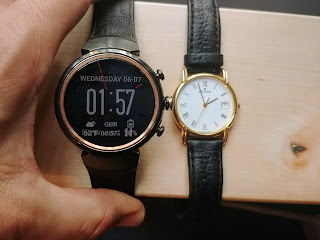 Part of me wanted to ditch the ZenWatch 3 and go back to svelte Style. However, the ZenWatch 3's battery does appear to significantly outperform the Style. And while the buttons are ugly, they are convenient. At some point, the software upgrade should come through, and I'll be all set in that department. Ultimately, I've decided to stick with the ZenWatch. I'm hoping it's upgraded hardware will pay off in the long run. I am, however, refusing to learn Android Wear 1.5 in a degree of detail. Once I get AW 2.0, I'll get back to focusing on figuring out clever ways to use the watch. For now, I'm just digitally treading water; using what works and leaving well enough alone. Should you run out and buy a ZenWatch 3? Uh, give me a few more months on that question. For now, your guess is as good as mine.